In the spring of 1816, Lord Byron left England in a self-imposed exile. His aristocratic excesses, which included huge debts, numerous love affairs and rumors of a scandalous incestuous liaison with his half-sister, made London to hot for him. 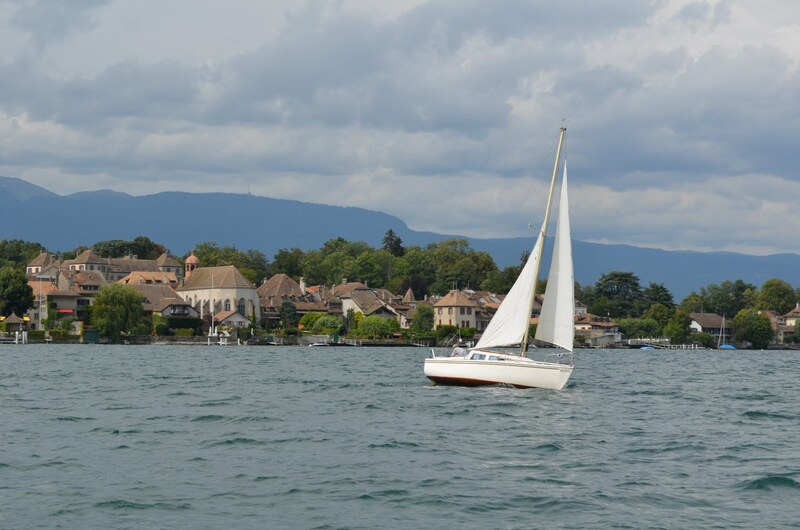 He journeyed up the Rhine to Switzerland, ending up in time to summer on Lake Geneva (Lac Leman). Percy Blythe Shelley, John Polidori, Mary Godwin (who later married Shelley becoming Mary Shelley), and her step-sister Claire Clairmont. Because my nieces and nephews read this blog, let’s just say they were a bit scandalous. 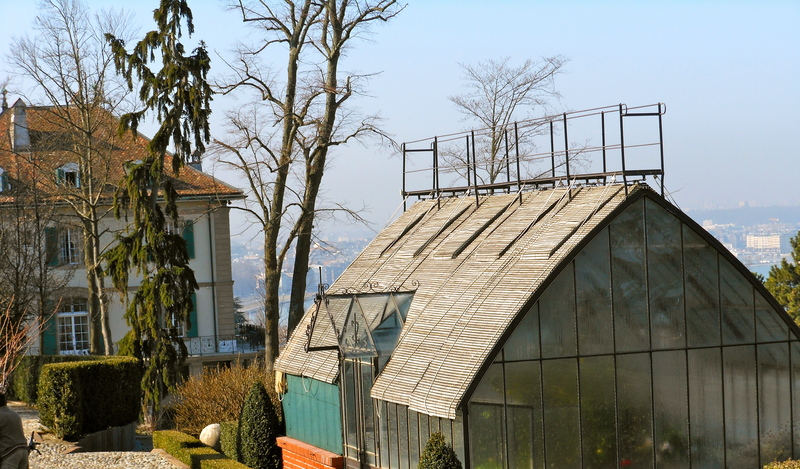 Wanting to be away from gossipy English tourists, Byron rented Villa Diodati in Cologny on the shores of Lake Geneva (Lac Leman). 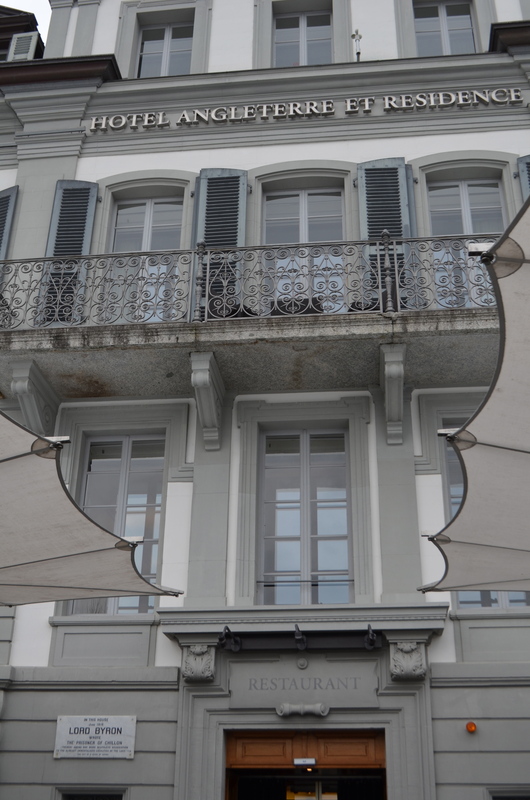 Due to the eruption of Mount Tambora in Indonesia, the weather turned from the typical gorgeous Swiss summer to storm clouds and rain. It became known as the summer that never was. They had an intense summer, staying up late talking. It was also a productive period for them. 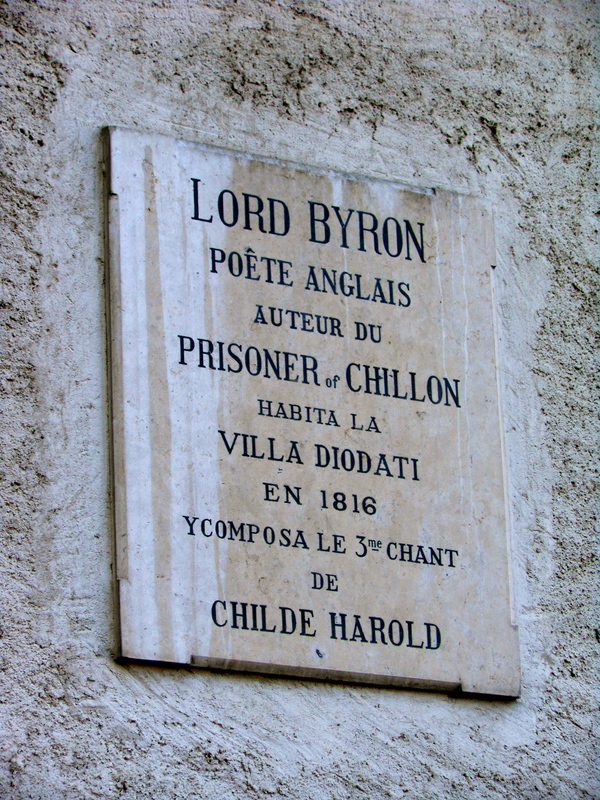 Byron finished the third canto of his epic poem “Childe Harold’s Pilgrimage” at Villa Diodati. 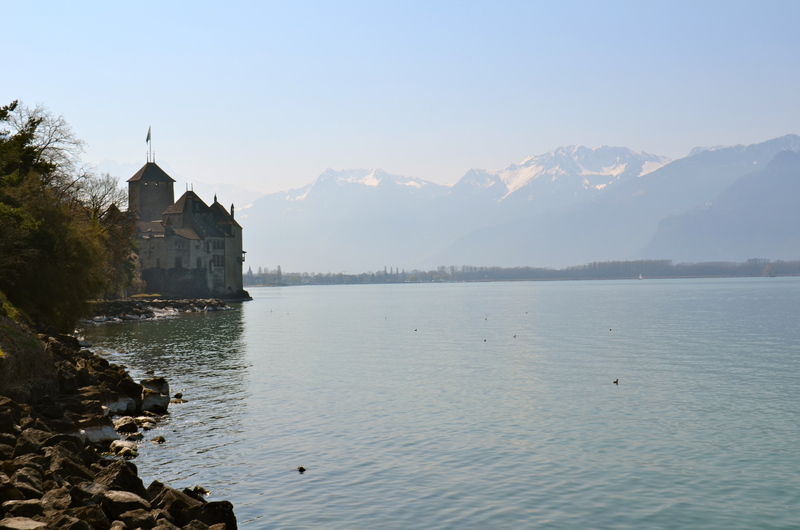 Byron visited the Château de Chillon (one of Europe’s best castles). During the tumultuous 16th century, it housed political prisoners in its dungeon. 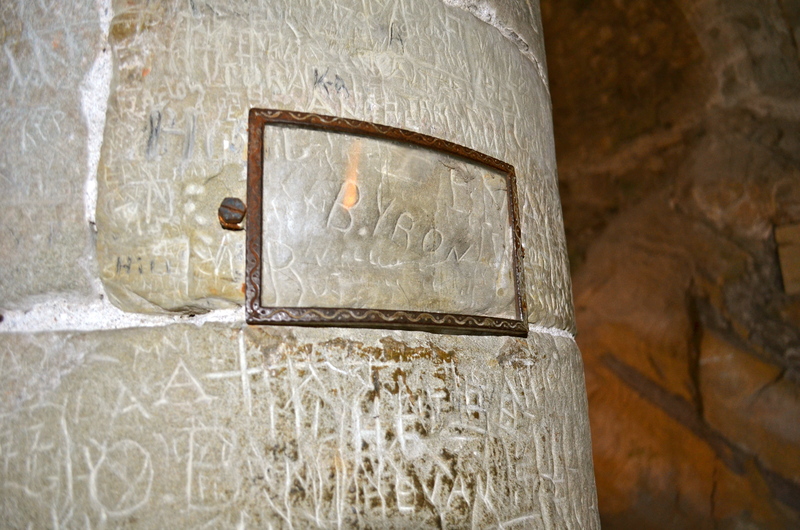 The clergyman/Swiss patriot/historian, François Bonivard, spent six years chained to a pillar down there. 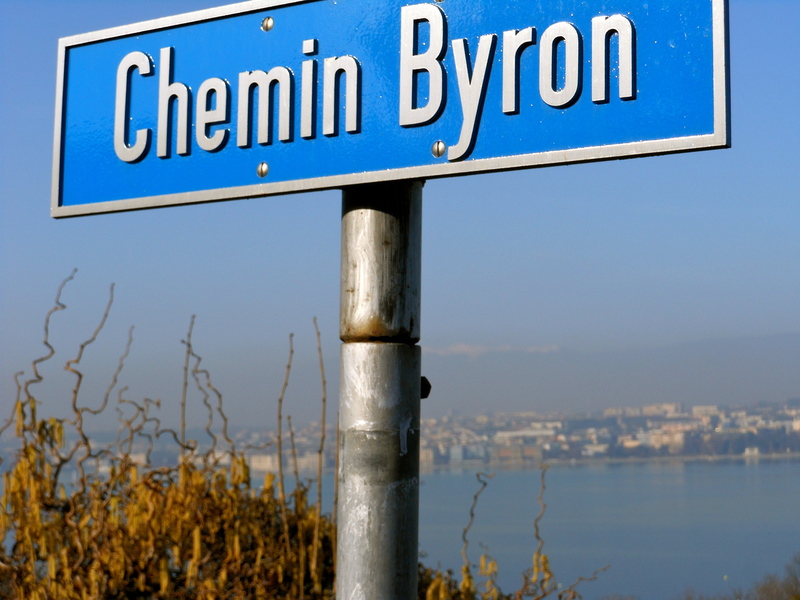 Byron wrote his famous poem “The Prisoner of Chillon” about him. It wasn’t the only thing he wrote. 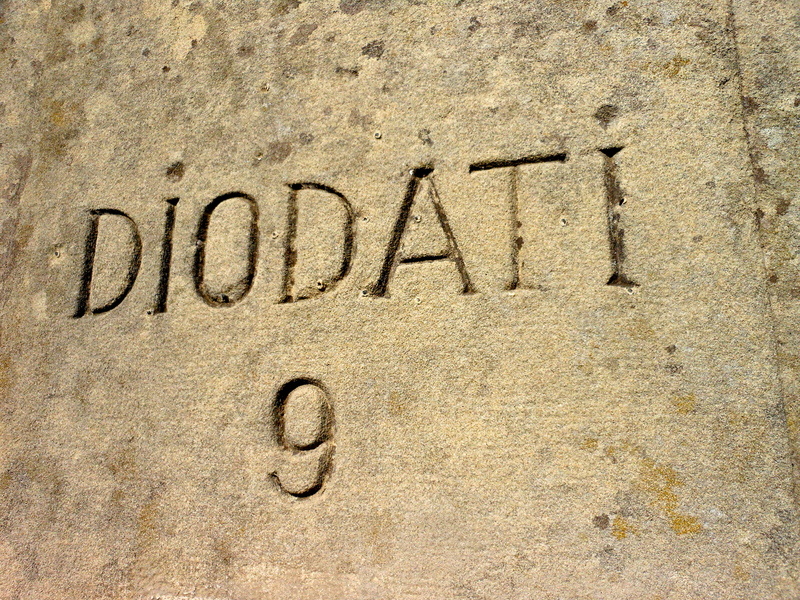 He also carved his name into one of the pillars. We didn’t. 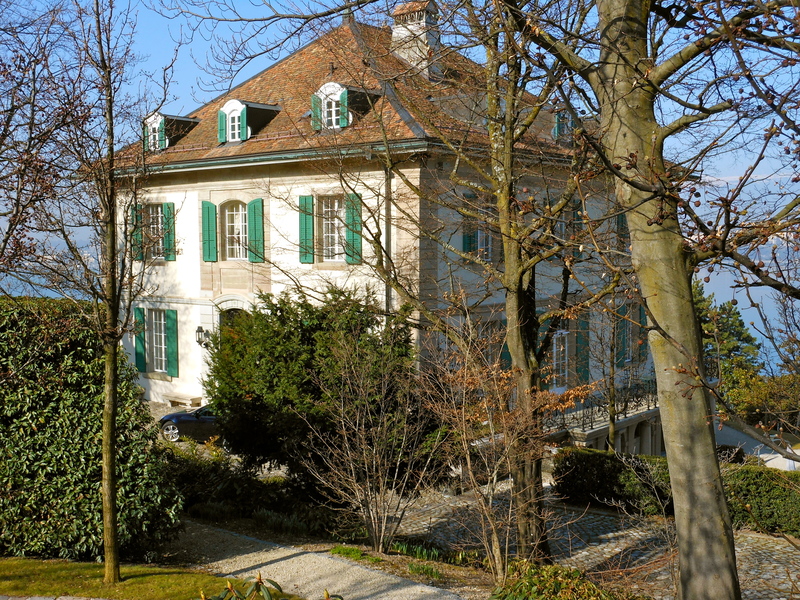 Madame de Stäel in Coppet (between Geneva and Lausanne) was famous in Europe for novels, famous lovers and liberal politics that got her exiled from Paris by Napoleon. It sounds right up Byron’s alley. The libertine Byron felt like too much of a curiosity among the English tourists so he generally stayed away from them and kept to his small group. No wonder he made an exception for her.